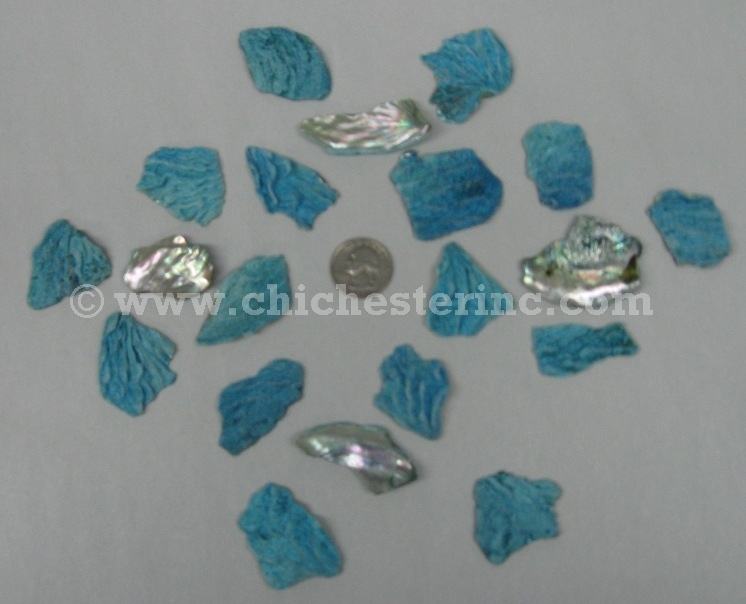 Left: Dyed Blue Abalone Assorted Sizes with a Quarter. 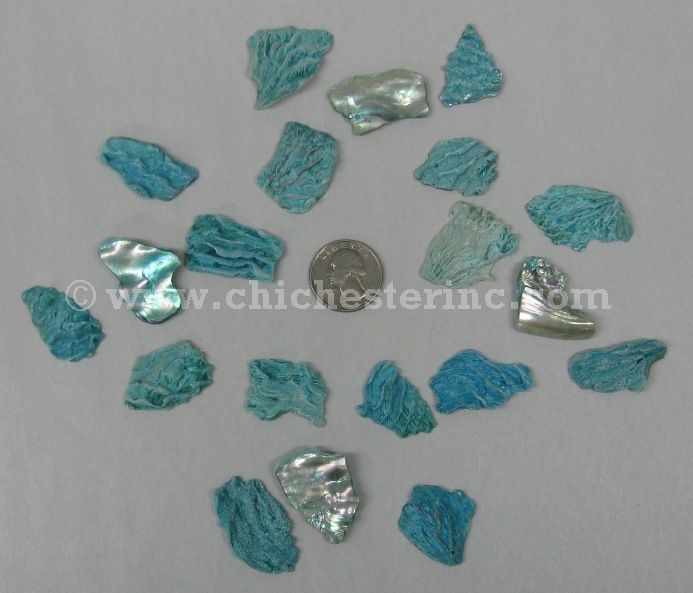 Right: 1 Kilo Bag of Dyed Turquoise Abalone Pieces. 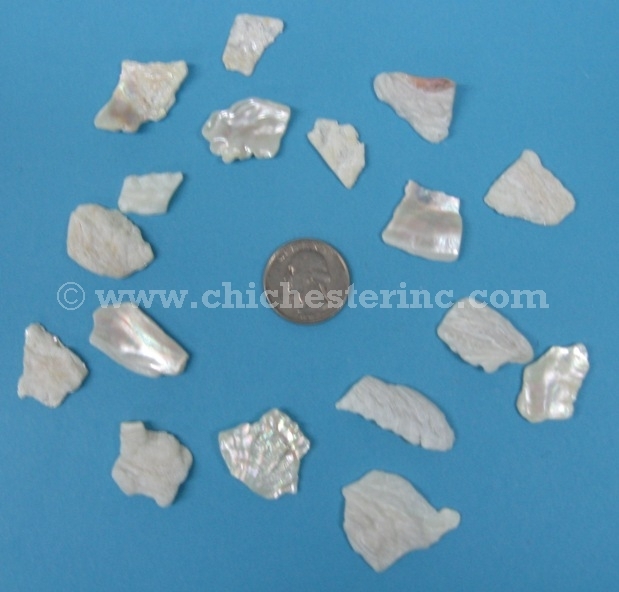 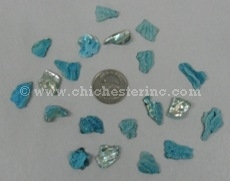 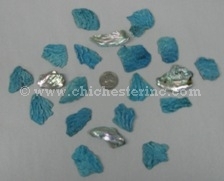 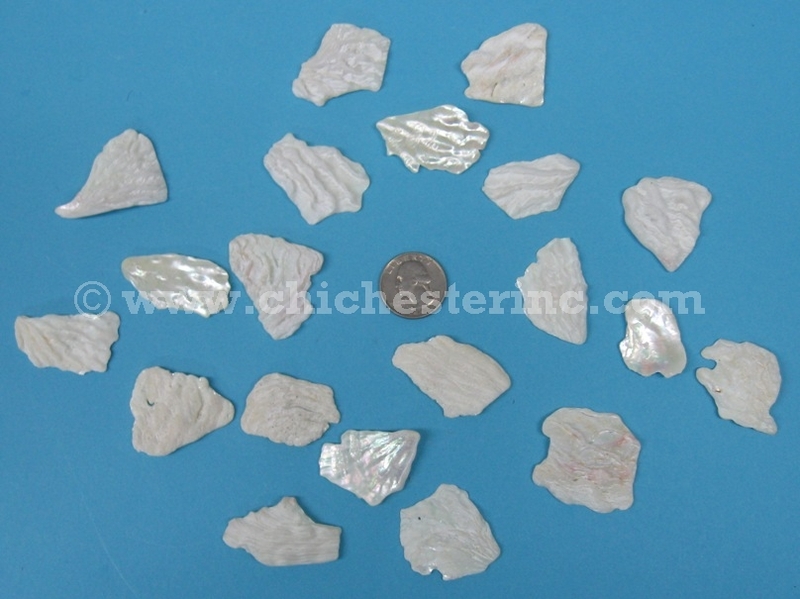 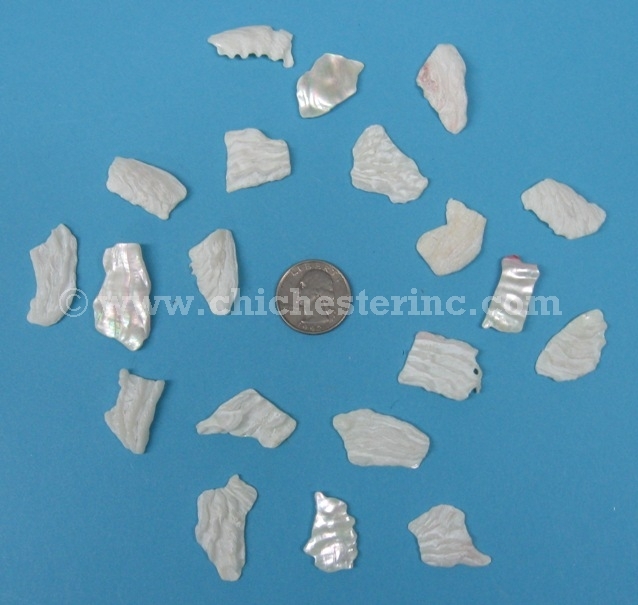 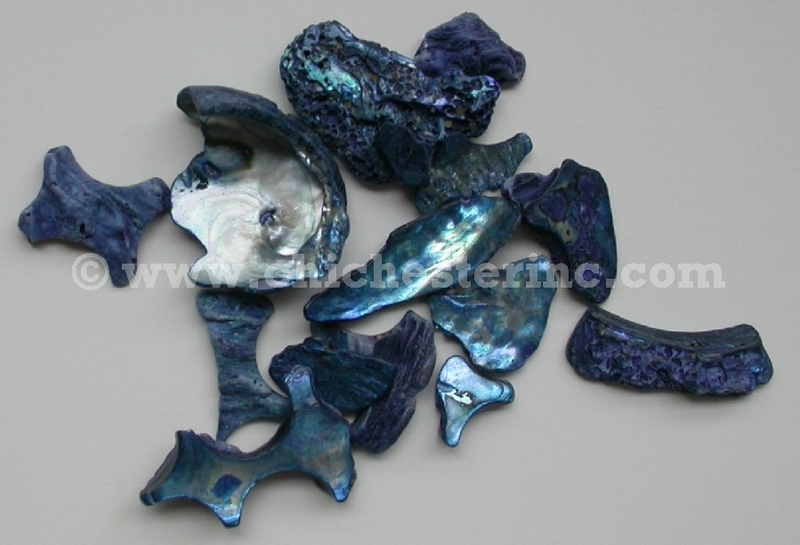 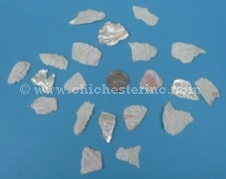 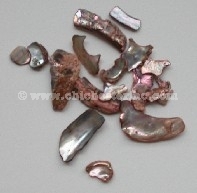 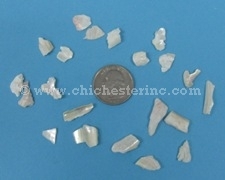 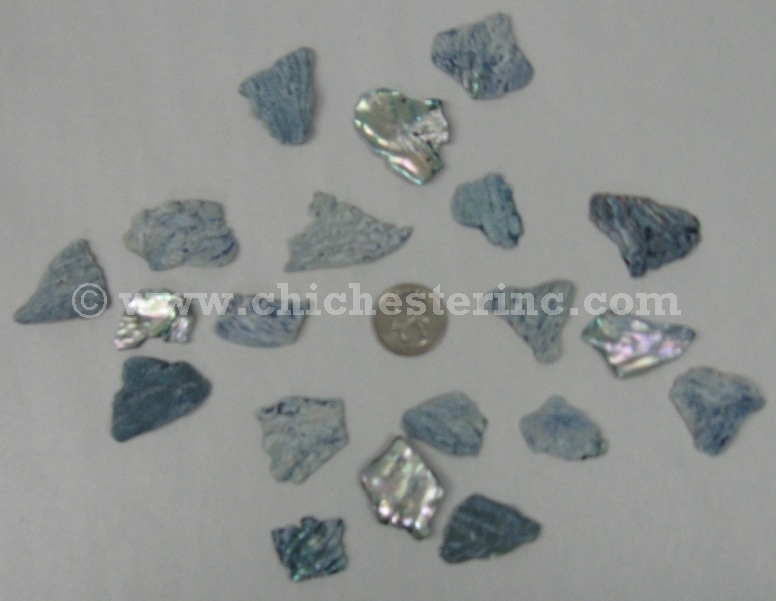 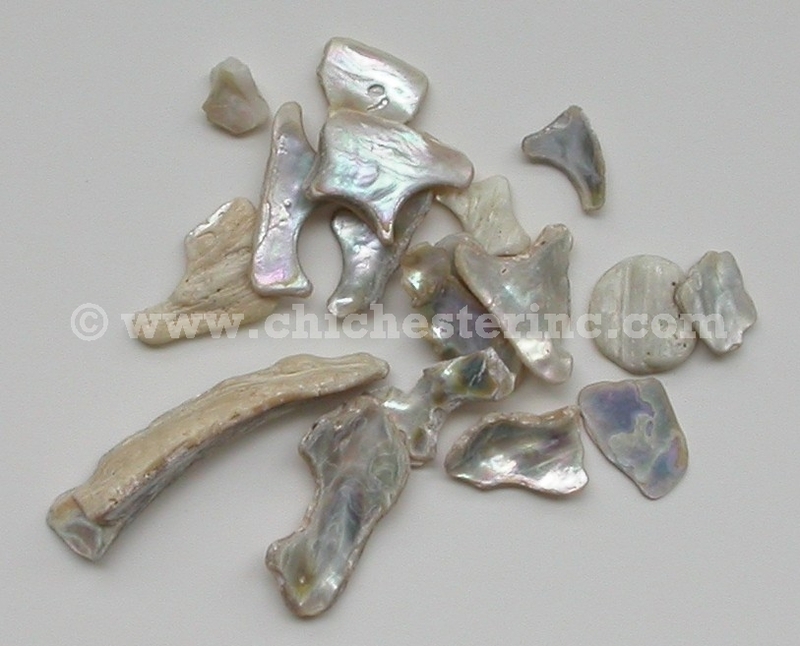 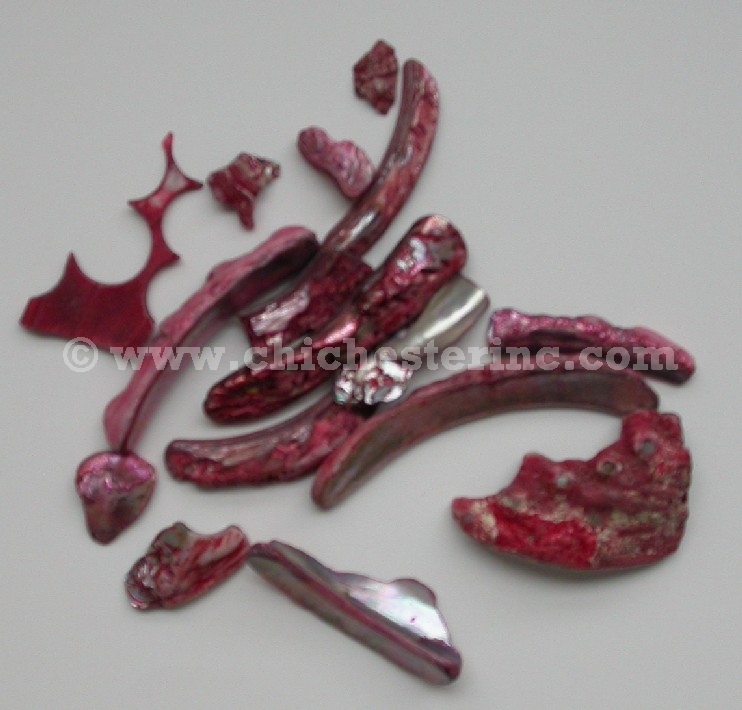 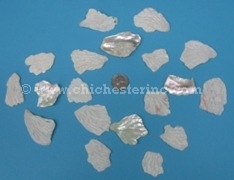 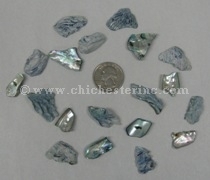 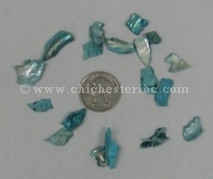 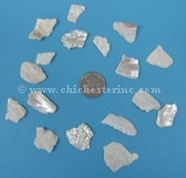 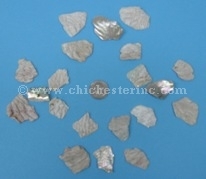 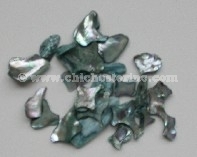 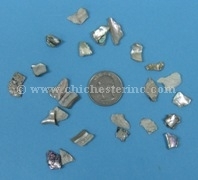 These tumbled African abalone shell pieces come in 1 kilogram bags of mixed assorted sizes as well as sorted sizes. 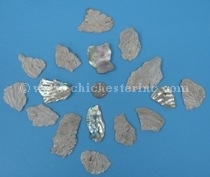 They are great for use in aquariums, terrariums, gardens, floral decorations, and jewelry. 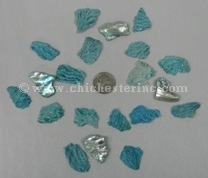 See pictures of each color below. 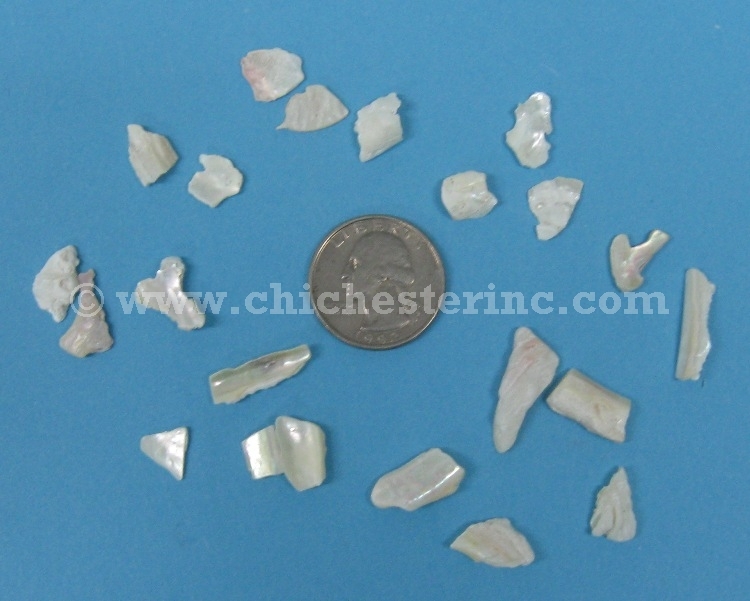 The natural shell pieces were cleaned only. 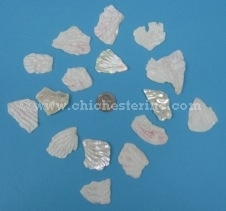 The bleached white shell pieces were cleaned and bleached. 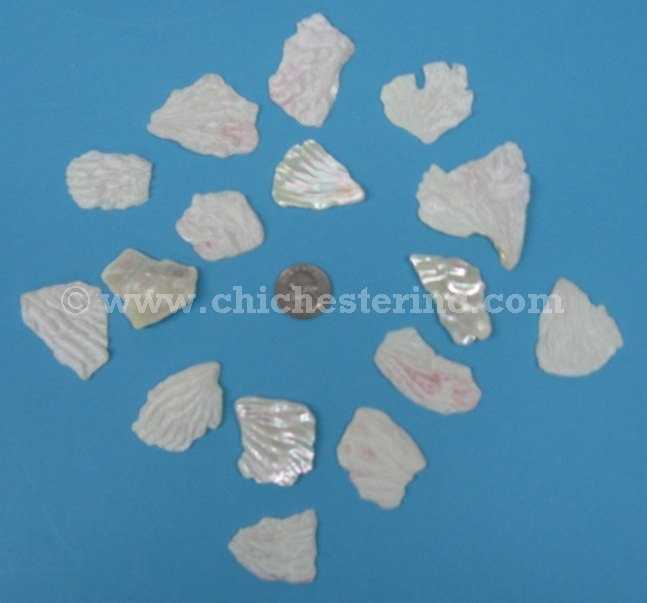 The creamy white shell pieces were cleaned and treated with hydrogen peroxide. Please note that over time the dyes will fade if the shell is left in the sun. 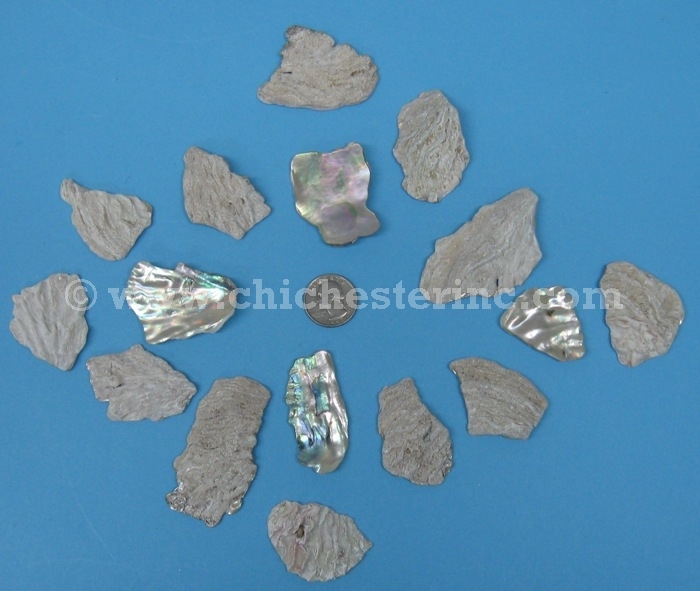 A 1-kilo bag of 25mm abalone shell pieces has approximately 230 pieces, while a 1-kilo bag of 50mm abalone shell pieces has 200 pieces. 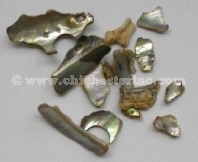 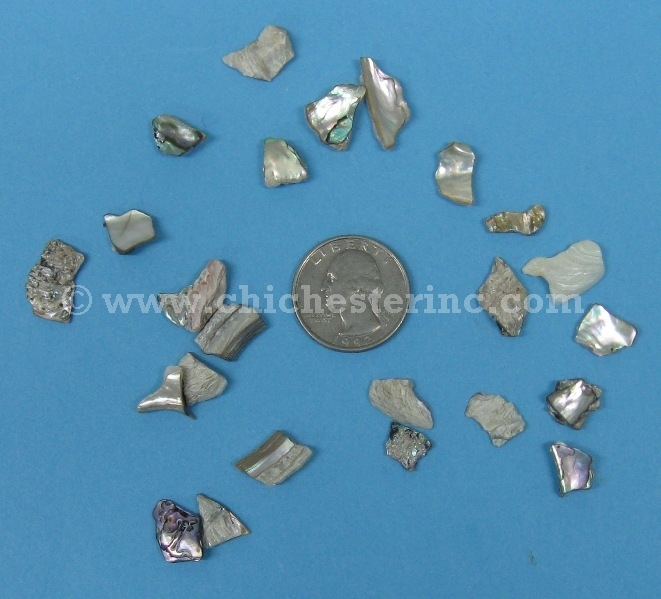 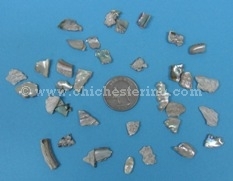 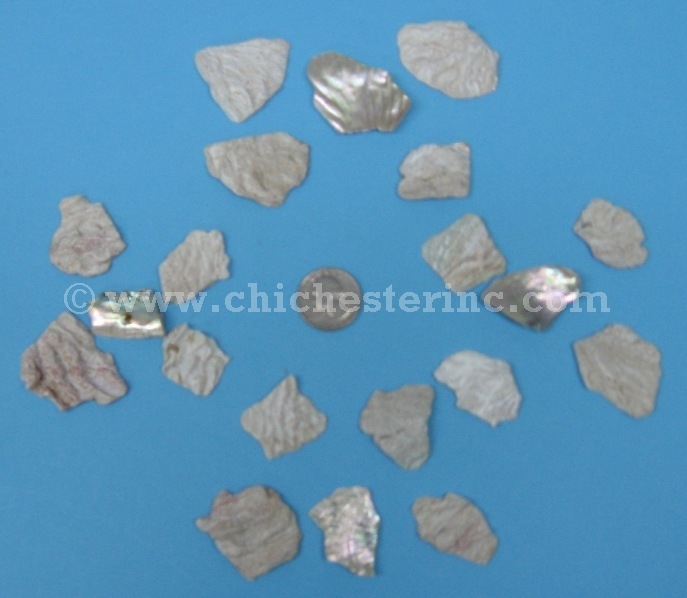 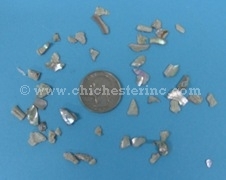 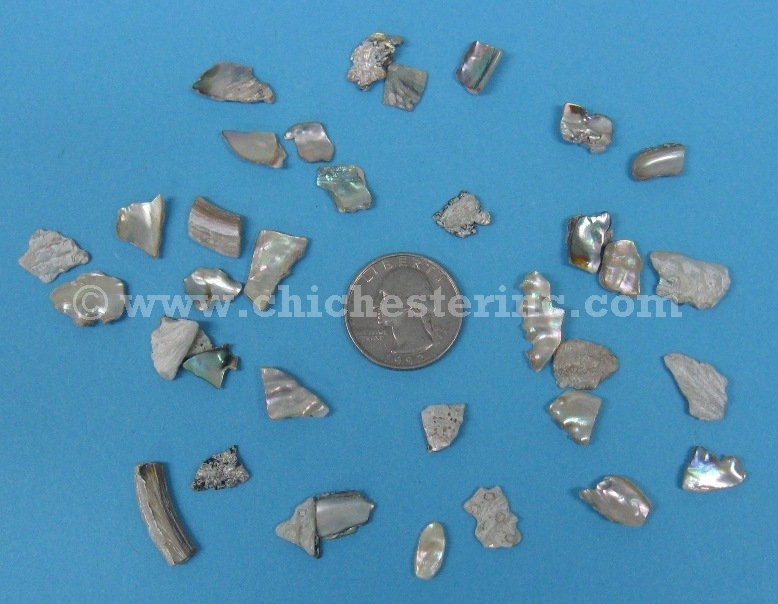 A 1-kilo bag of 10mm abalone shell pieces has approximately 2,270 pieces. If you want to drill the abalone shell pieces, we recommend drilling them in water with a drill press. We do not offer this service. 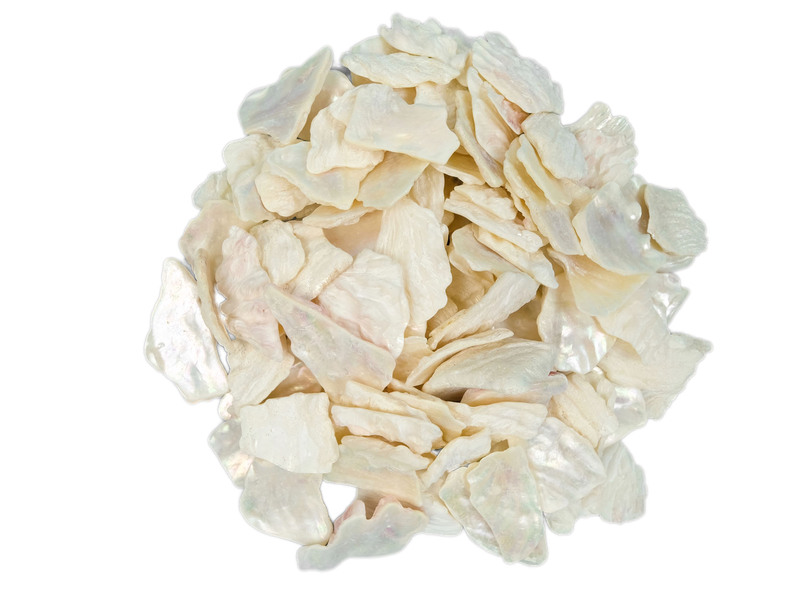 Please call for pricing on large orders (1,000 kilos or more) directly from South Africa. 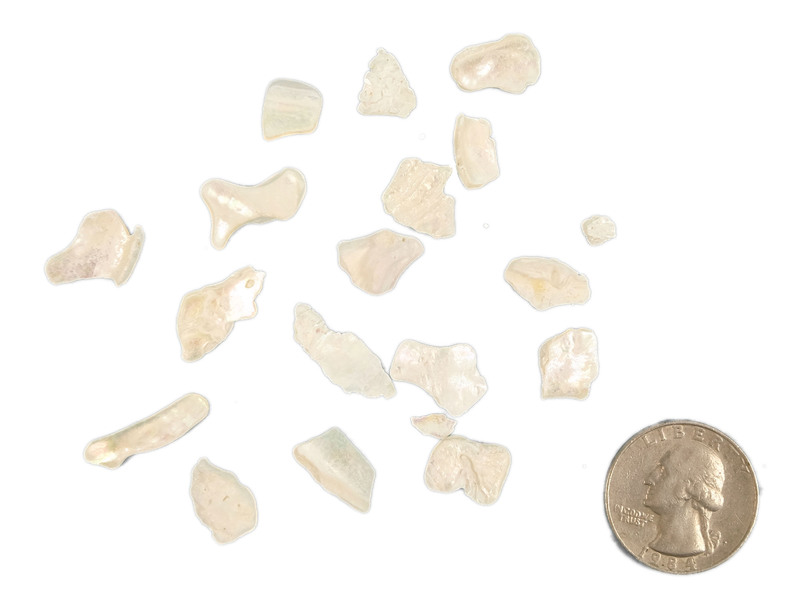 Genus and species: Haliotis midae. Ranch.